RVMedia 5.0 has been released. Previously, TRVMicrophone used the system default audio input device (usually, it is a microphone). In the new version, you can choose the device using the properties: AudioInputDeviceIndex, AudioInputDeviceCount, AudioInputDeviceList. New events are added (TRVCamSender.OnEncodeAudio and TRVCamReceiver.OnDecodeAudio). 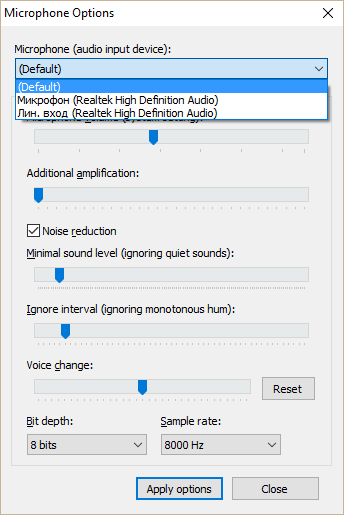 You can use them is you want to encode and decode audio data manually. RVMedia can decode different formats of video from local web cameras (YV12, YUYV, YUY2, YVYU, UYVY, NV12, etc.) itself. Previously, it relied on a converter that converts these formats to RGB (it may be installed or not). In addition to choosing from a list of video modes supported by a web camera, the new version of RVMedia provides a simplified way to choose video resolution, by assigning to TRVCamera.VideoResolution property. RVMedia included a motion detection mechanism, but it was hidden. It is used internally in TRVCamSender to send only changed fragments of video frames. In this version, we published this mechanism as TRVMotionDetector class, you can use it in your applications. In this year, FFmpeg 3.0 was released. In this release, its API was changed, this version of FFmpeg could not be used in RVMedia 4.0. This release supports FFmpeg 3, as well as 2 and 1. Also, correction for using FFmpeg in 64-bit projects were made. 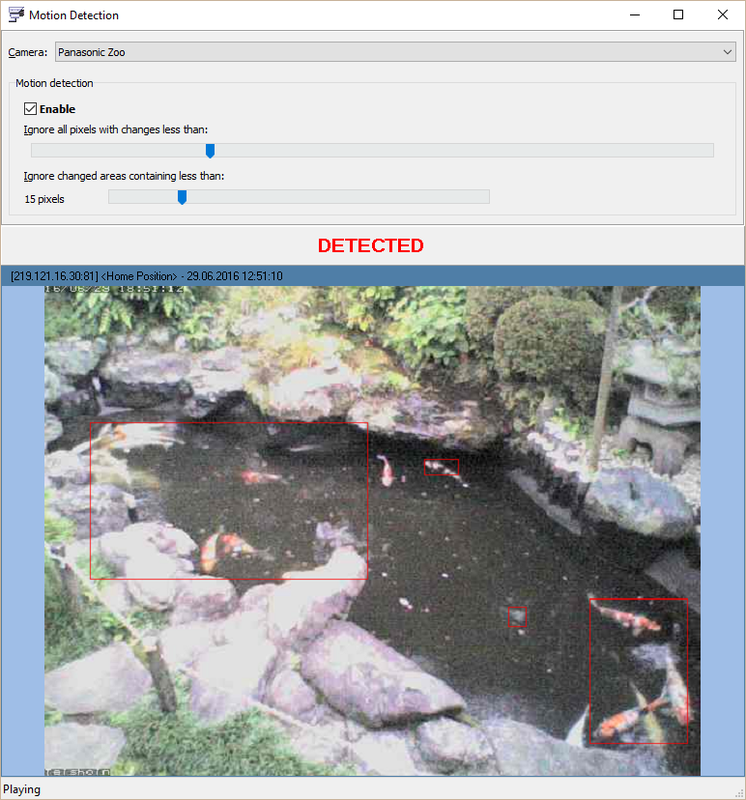 In this release, we added support for newer (H.264) Foscam cameras, including configuration and movement control. 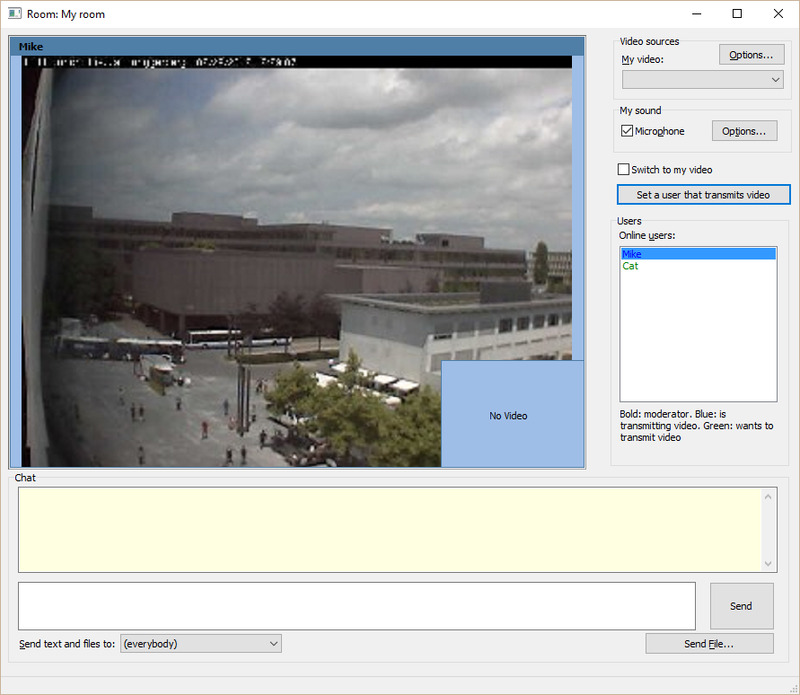 Older versions of Foscam cameras are supported as well. In this version, we added support for named and password-protected groups on the media server (TRVMediaServer component). Groups may be used to implement chat rooms. To-do: this version does not support group deletion, it will be implemented in future. This update supports Delphi and C++Builder 10.1 Berlin. In this update, we changed a structure of packages. - for Delphi, two independent packages: 32-bit designtime package (e.g. RVMediaD10.dproj) and independent 64-bit runtime package (e.g. RVMediaD10_64.dproj). Some changes in properties and events were made, so the demos are updated accordingly. See http://www.trichview.com/help-media/ for additional information. The old MotionDetect demo that implemented a simple (and not very good) motion detection method is moved to MotionDetect_Old folder. It's still usable as an example of manual processing of video frames. A new demo is added in MotionDetect folder. It uses TRVMotionDetector class. This demo works with the same server (Cameras\VideoChats\Server\) as other VideoChat demos. - how the room creator can choose the user who will transmit video to all other room visitors. You can see a list of available chat rooms on the server. Green color shows rooms created by this client. In this demo, creators become moderators of their rooms. When the user enters the chat room, the following window appears (for non-moderators). 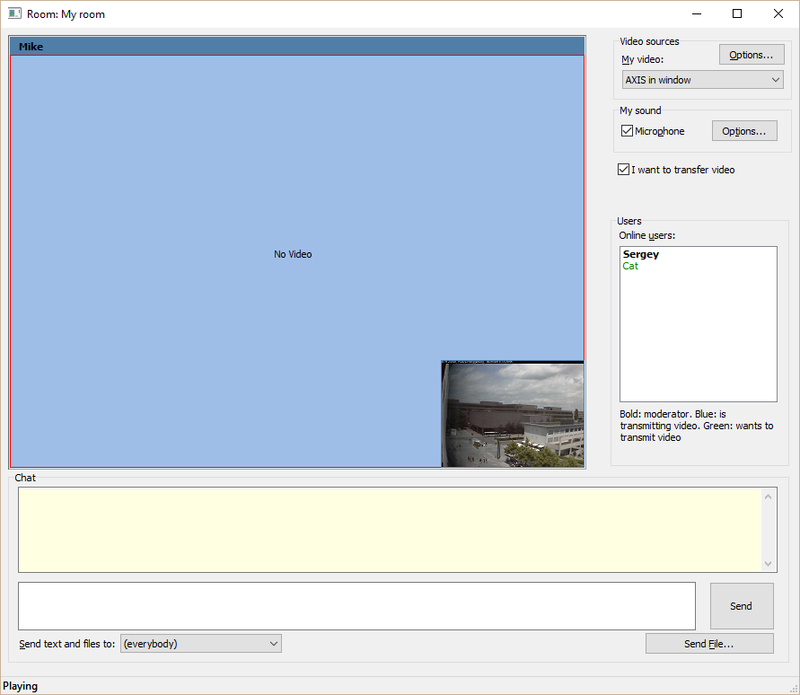 The user can check "I want to transfer video", and his/her name will be colored in green in the list of room visitors. The moderator can choose to transmit his/her own video, or choose from "green" users. A combobox for choosing video format is added, it lists MJPEG and H.264. When you click "Search Camera", the application searches for MJPEG or H.264 cameras at the specific host:port, depending on the choice. Note: H.264 cameras are supported only if FFmpeg is available. The motion detector is now really good. I like that you can make it very sensitive by changing how many detected pixels need to change before it detects motion. Last edited by Ceprotec on Mon Apr 09, 2018 11:25 am, edited 3 times in total. I was going to ask if there was a way to make the motion detector only look out for certain stuff. Maybe by the colour of the pixel. For example if you have a pond with 5 red fish and one blue fish to make it only detect the blue fish? In the current version - no. But it looks like it's very simple to implement. One of the base functions for a motion detection is a comparison of two pixels. If we add weights for R, G and B colors to this function, we can implement a selective motion detection. We will test it, and probably include in the next update.